This tilted basalt was the result of a plate fold being pushed up from a diagonal force. 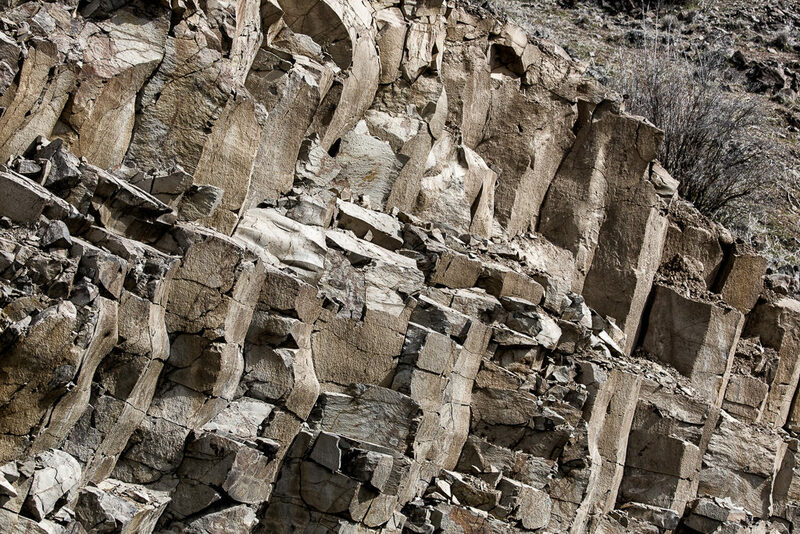 Throughout the Yakima River Canyon the basalt columns show displacement in various directions. This illustrates that forces were lateral pushing toward each other creating a “fold”. The basalt shown here is in a “columnar” formation. Basalt formed like this cooled very slowly, creating a soother texture. This entry was posted in Details, Geology, The Intimate Landscape and tagged Basalt, Eastern Washington, geology, lines, repitition on March 16, 2017 by kgrafphoto. Fallen cherry blossoms covered the ground beneath the trees. I was able to get a few images before the lawn mowing gang cut the grass and swept away the beautiful blooms. The past few weeks are typically my favorite weeks in the garden each year. For a few days we are lucky to have the flowering pears, flowering plum, flowering crab apple, and flowering cherries all in bloom at the same time. It is peaceful and beautiful in the garden. 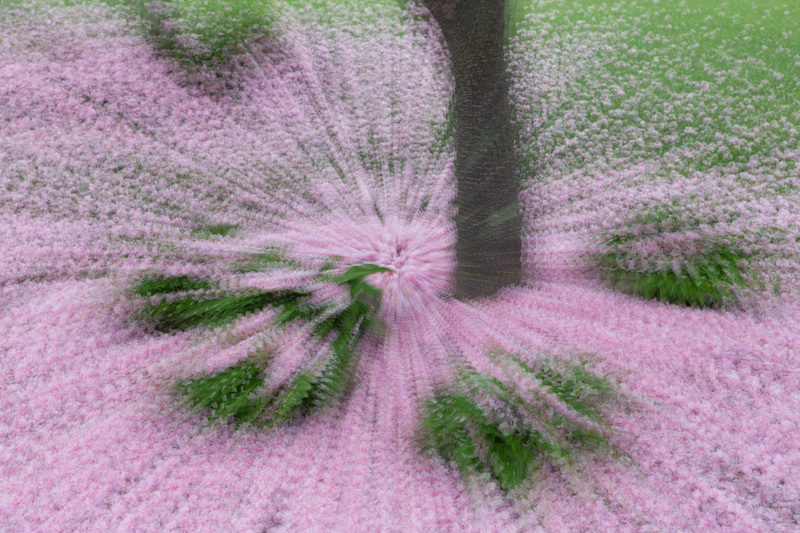 The image below is a new perspective using multiple exposures while zooming out. A different look is achieved by a long exposure and a zoom pan as seen below. Which one catches your eye? I like them all. 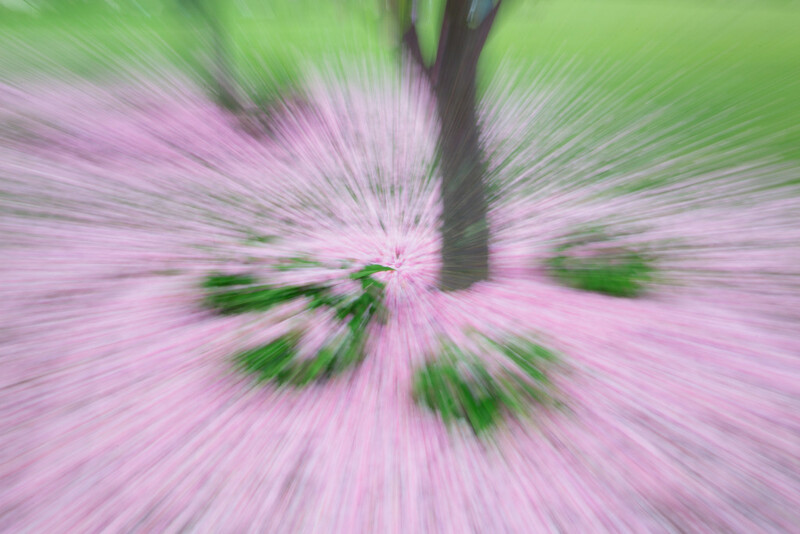 This entry was posted in Abstracts, Flora, Multiple Exposure, Our Garden, Panning, The Intimate Landscape and tagged Abstract, Flora, Fountainville Garden, repitition, Spring on May 13, 2015 by kgrafphoto. I was having a lot of fun creating multiple exposures and just experimenting with various artistic ways of processing images when I came up with this combination. 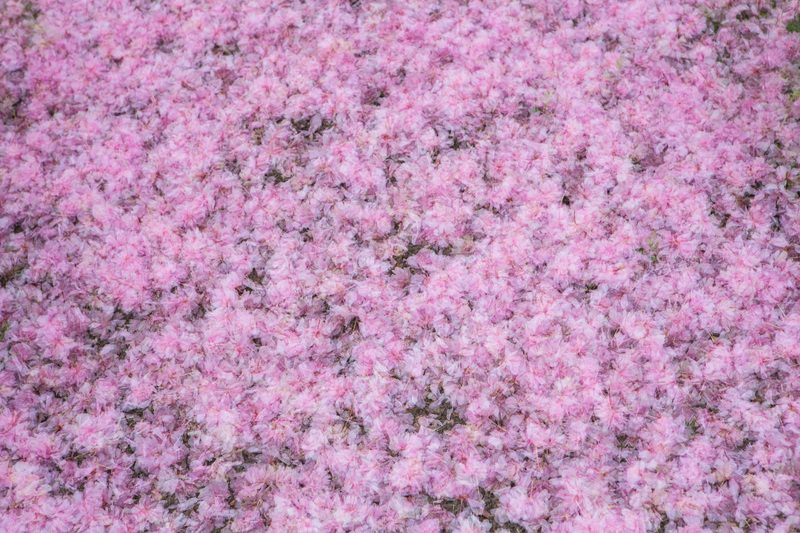 I first started out taking individual images of fallen cherry blossoms. I then experimented with multiple exposures (5 exposures in this case). I then further experimented with different artistic presets in Topaz Impression (Georgia O’Keefe II) to arrive at this image. Lesson Learned: Enjoy experimenting, you can never tell what you can come up with! This entry was posted in Abstracts, Flora, Multiple Exposure, Our Garden, Painterly Effects, The Intimate Landscape and tagged Abstract, Flora, Fountainville Garden, repitition, Spring on May 12, 2015 by kgrafphoto. Photography has taught me to open my eyes, look around, and enjoy what each moment brings. 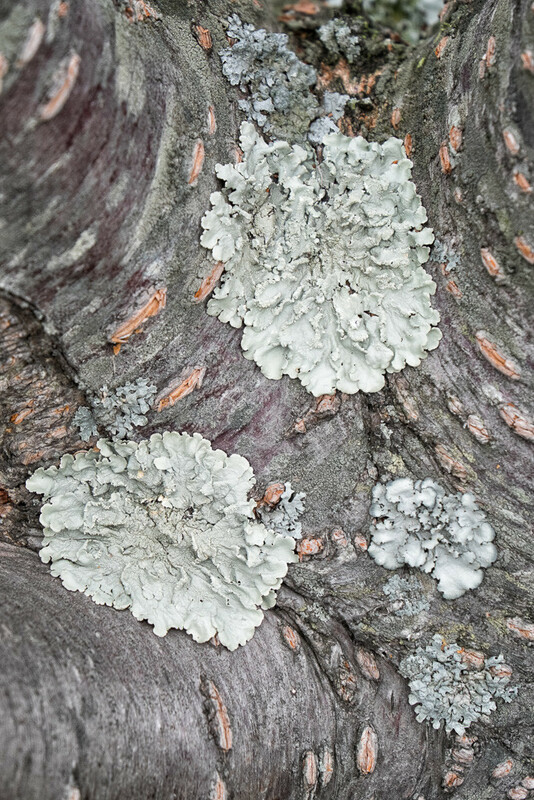 Walking around our back yard with Karen, I saw this fungus growth on one of our cherry trees. It caught my eye and made me think of the symbiotic nature of life. I stopped long enough to compose this image and enjoy the moment. I then continued a wonderful walk with Karen. It was a good day! This entry was posted in Details, Our Garden, The Intimate Landscape and tagged Fountainville, garden, repitition, winter on January 19, 2015 by kgrafphoto. 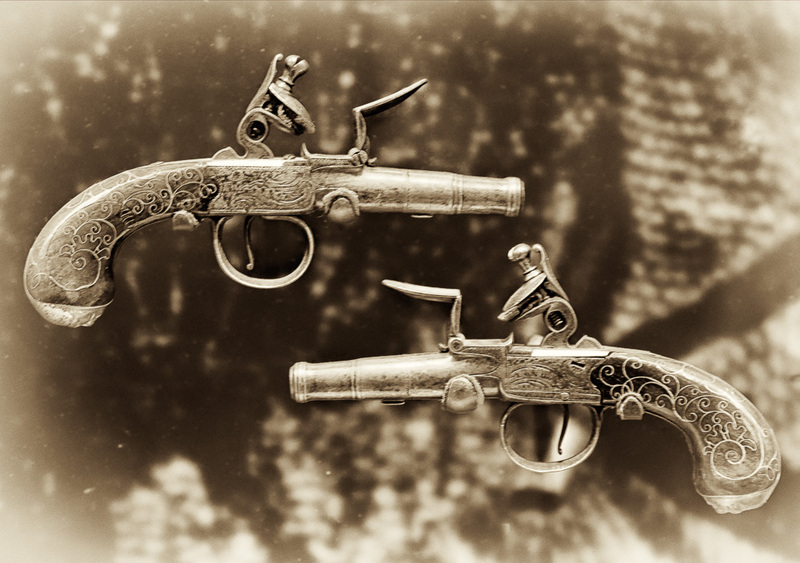 Colonial Williamsburg’s Dewitt Museum has a fantastic collection of Revolutionary era hand guns and muskets. These two small hand pistols caught my eye. They look almost too nice to shoot. Composition and managing the light were the challenges for this image. The guns were all mounted behind glass with various lights shining from above and in front of the pieces. I first had to pick guns where details were not obscured by direct and reflected light. I then had to further select subjects that were somewhat isolated to minimize clutter from elements. I was hand-holding my camera, so I used the protective glass as a brace. I felt that this image was not too bad for hand held. For processing, I used NIK Color Efex Pro Tonal Contrast and Detail Enhancement to pull out the details in the handles. I then added an antique preset in NIK Silver Efex Pro to get the antique tone. This entry was posted in B&W Photography, Details and tagged Colonial Williamsburg, repitition on January 6, 2015 by kgrafphoto. 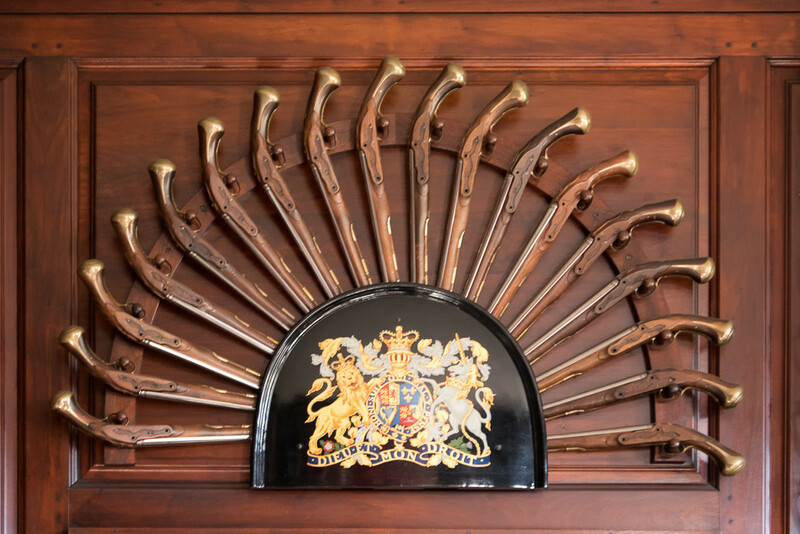 The entrance reception hall of the Colonial Williamsburg Governor’s Mansion displays an opulent collection of armaments. The decor was to demonstrate the power of the Colonial Governor’s position and to make visitors humble. Lesson learned: This image was taken handheld at 1/5 second with an image stabilized lens. I know better than to go below about 1/60 second to get the sharpness needed. I relied on the playback image to decide if it was acceptable. Wrong choice. I should have stuck with the numbers, increased my ISO and shutter speed. This entry was posted in Details and tagged Colonial Williamsburg, repitition on January 5, 2015 by kgrafphoto. 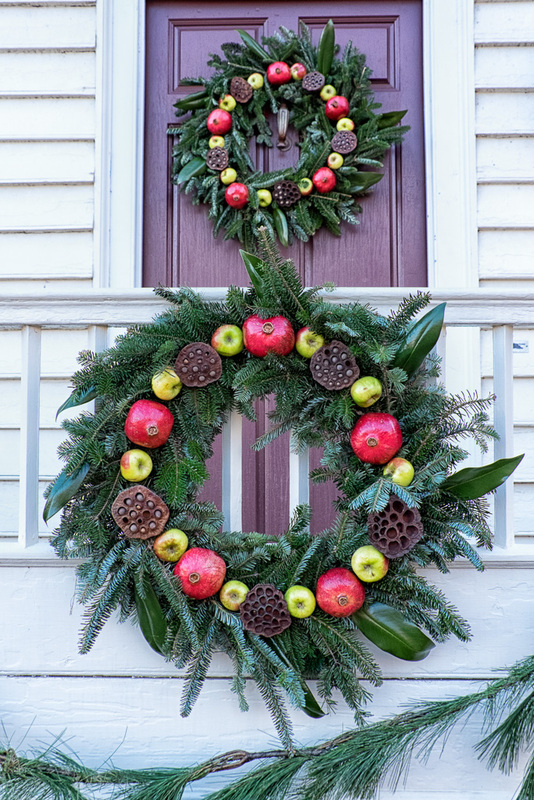 On the brighter side of things, Colonial Williamsburg is decorated with elaborate wreaths during the Christmas Holidays. There were many much more elaborate than this simple wreath. The repetition of the wreath on the railing and the door caught my eye in this image. 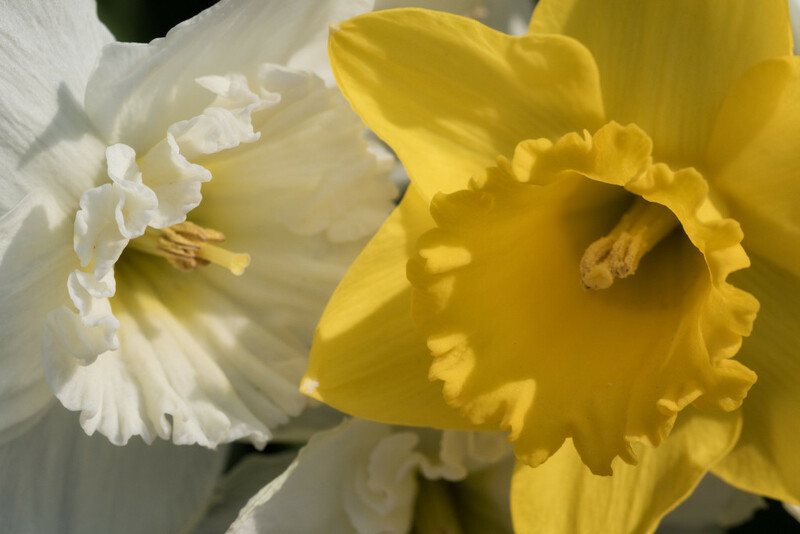 This entry was posted in Details, Flora, Historic Sites and tagged Colonial Williamsburg, repitition on January 3, 2015 by kgrafphoto. This rail around the Philly City Hall provided a very clear message: “No Leaning” or should I say “No Sitting”. Today I was just walking around downtown Philly watching for images to appear. This one popped up and pain entered my body from all directions. 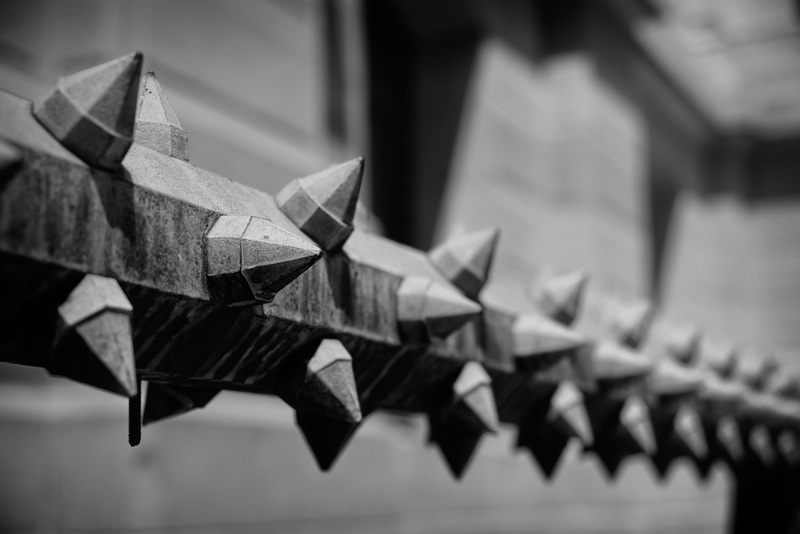 It was not a very inviting element for the City Hall. But it did provide an interesting image. I purposely used my widest aperture to provide an interest depth of field. This entry was posted in B&W Photography, Details, Structures and tagged lines, Philadelphia, repitition on May 18, 2014 by kgrafphoto. This year we will miss joining our friends on our almost annual spring trip to New York City. Our thoughts will we be with them as they make the trip without us. I am very thankful for the many trips that we have made together and look forward to many more in the future. This image was taken on our trip last spring. 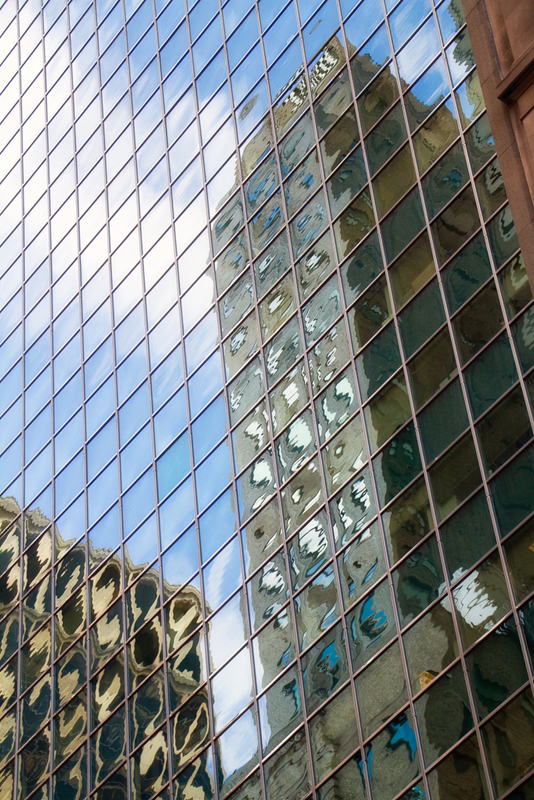 I recall walking down the street, looking up and seeing interesting reflections. I lingered back and worked this image until I got the reflections to line up with the windows. It took a bit of time and my wife and friends were several blocks ahead egging me on to catch-up. The delay was worth it. This entry was posted in Along the Street, Architecture, Structures and tagged lines, New York, New York City, NYC, repitition on April 25, 2014 by kgrafphoto.